Donation Matching! 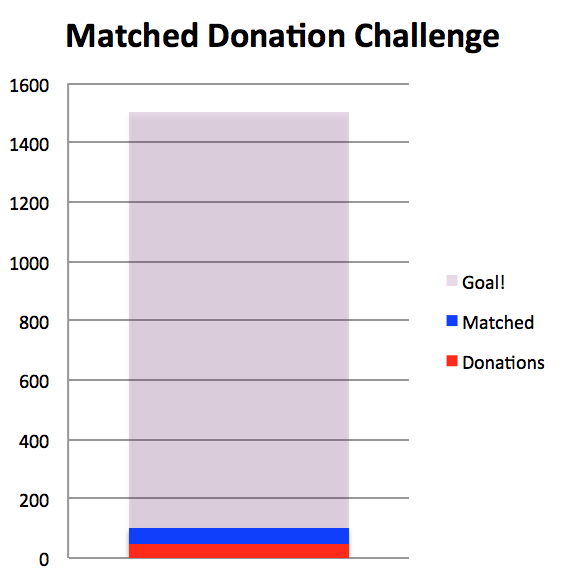 Donate before 11:59pm on Sunday (10/2) and all of our donations will be matched up to $750! Double your gift this week only! Let's get this chart moving! Today I discussed marathon strategery with J. In the end we decided the most important part was not to be beaten by the fat hobbit. This is not code. But, in case you don't subscribe to the portland marathon electronic news letter, let me bring you up to speed. The actor who played the fat hobbit in the Lord of the Rings movies is running the marathon this year. That's right, Sean Astin will be puffing along with the rest of us. In my first marathon the talented Caroline Wozniacki ran with us. I was a bit more excited about the prospect of seeing her than I am about seeing Sean. Sadly I didn't see her. Though I did see Tiki Barber. I'm sure there were plenty of other celebrities in NYC. But I don't recognize people that well, much less people I've only seen on TV. One of the more useful strategies we discussed was managing water stops. I was given sage advice before my first marathon about drinking frequency. I was told to drink a bit of water at all stops. I thought this was excessive, in New York the first stop is at the 2nd mile. But taking water that early is actually brilliant. The plan is to delay the inevitable dehydration. If you wait until you are thirsty then you are going to be far behind the entire time. Water stops can be dangerous. People are notoriously bad at noticing others. People, it seems, can't imaging that someone might be running right behind them. People will full stop immediately, or turn into you without any warning. And the ground is wet and full of cups, which doesn't help. The best way to deal is to head for the end of the station. Most runners attempt to grab the first cup they see and like terrified cattle stampede towards the outstretched hands of first volunteers. But if you patiently wait in the middle of the road you can ease past the dehydrated herds to the lonely water volunteers at the last table. Also sugar is good. And as a strategy it is one of my favorites. Eating is key. Your body (or at least mine) using vast amounts of sugars to push itself up the road. If you run out of easily burnable simple sugars you will quickly turn to lead. Trust me, I know. 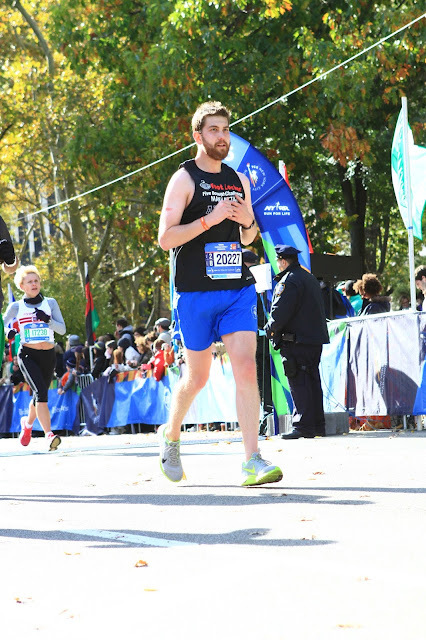 My legs felt like solid blocks after I accidentally skipped breakfast and dinner before my first marathon. I carry a variety of little packets of syrupy sugars. These are sold to runners as energy packets. And for once I completely agree with the marketing. There is a reason doctors tell us not to eat white breads, sugar candies, and other refined products. These things "turn into sugar" and go directly to the blood stream. And of course that is exactly what you want and need during a marathon. You can't spend time digesting and breaking down complex carbohydrates into the sugars you need. In Portland they will be passing out gummy bears at multiple locations along the route. I can't wait! I appear more alive than I actually was. I was having trouble focusing my eyes.